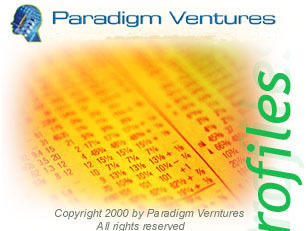 Michael Potter serves as Director of Paradigm Ventures an international venture capital firm focused on high technology ventures. Prior to Paradigm Ventures, Potter was Vice Chairman, founder and President of Esprit Telecom plc., a pan-European competitive telecommunications services provider. During his 8 years at Esprit, he grew the company to 1,000 employees in over 9 European countries and a market capitalization of a billion US dollars. He was formerly an international telecommunications analyst at the Center for Strategic & International Studies (CSIS) in Washington, D.C. Potter was also Vice Chairman of the founding Board of the European Competitive Telecommunications Association (ECTA). He is a director Global Connect. His articles on high technology business and policy have been widely published. Michael received his MS degree from the London School of Economics and his BA from California State University at Sacramento, and a certificate in Space Studies from the International Space University.